Live imaging of cortical reaction in G-IVF in vitro matured oocytes (G-IVF IVM). 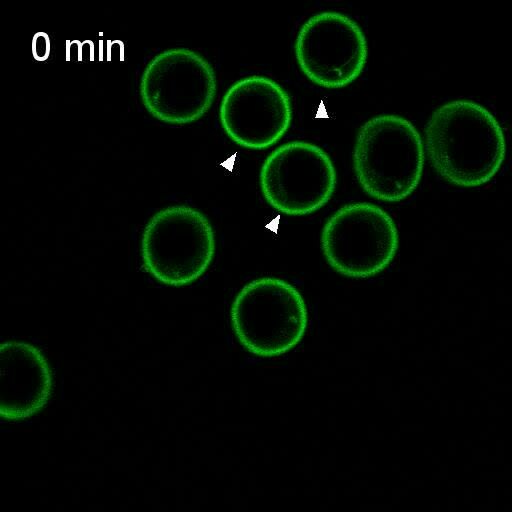 Confocal time lapse of G-IVF IVM oocytes incubated with SrCl2 and LCA-FITC. Arrowheads indicate responding cells.